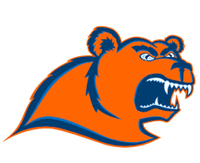 New London, CT – The Coast Guard women's cross country team has earned a national ranking for the first time in school history from the U.S. Track & Field and Cross Country Association (USTFCCCA) as the Bears check in this week at 28th nationally as well as seventh in New England. The Bears ran to an impressive sixth place finish at the Paul Short Run last week. Coast Guard is back in action on Oct. 13th at the Conn. College Invitational at Harkness Park in Waterford.